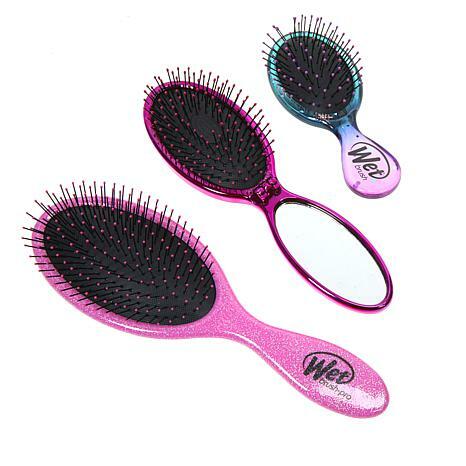 A trio of hair brushes that are specially designed with Intelliflex bristles to minimize damage to hair and detangle with included detangling hair spray. Best brush ever! My daughter and I have thick long hair. 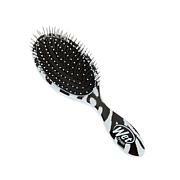 This brush just glided through without pulling out our hair! Plus your hair feels soft and silky. 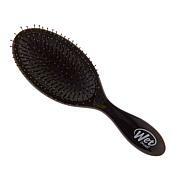 You cant go wrong with a wet brush. Really good with thick hair. The purple is stunning! It is full of glitter and very very pretty! 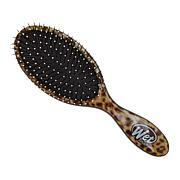 I look forward to taking these on vacations because they are small but big enough to brush well. Cost is to high for the set. Found in store cheaper. They are a gift so I hope they work. Cute for younger person.